My Galaxy s4 has a white call screen and I dont like it. 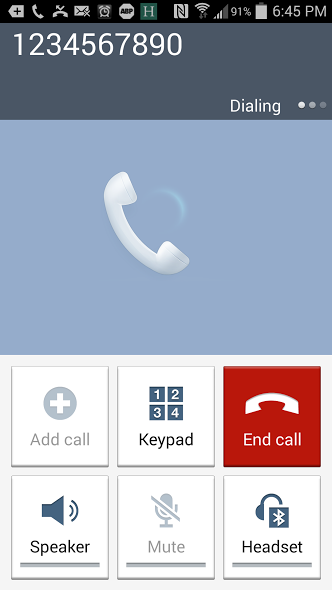 I got an app called "ultimate call screen" or something, but my call screen is still white when I access they keypad. How do I simply make my call screen, the number buttons and everything black? You'll need to theme the dialer app to be black instead of white. Some apps, such as Dialer+ - Google Play Store will allow you to enable/disable light/dark themes. Take a look at that and see if it's what you are looking for. Let us know if you find an alternative. It's this part that I am trying to change. Dialer + only changes the dialer, but once I send the call, the screen you see below pops up and I cannot change the color. If I am on a call and must use the number pad, I get that ugly white, stock screen as well. I have Dialer +, when I go to make a call I have the black theme, HOWEVER after I press that little phone icon to actually send the call), it reverts back to that ugly, stock theme. Again I have the galaxy s4. Am I stuck with that while I am actually on a call? S5 lock screen messages ?